Color Print - JAGDGESCHWADER 73 "S"
New Lithograph of the German Air Force Jagdstaffel MIG-29G & McDonnell Douglas Phantom II F-4F "Special Birds" in Europe. Descriptive Narrative is written in German. Very Limited Quantity Available. Once Gone, They are Gone! Gorgeous New Color Collectable (4) Ship MIG-29 "A" and "B" (Fulcrum) Evolution with the German Air Force during the late 1980's through Mid-1990's. Each were assigned to Bundeswehr/Luftwaffe "29-01". The complete narrative is written and presented in German. Quantity is very limited. First Come, First Served!!! Once gone, they are gone. 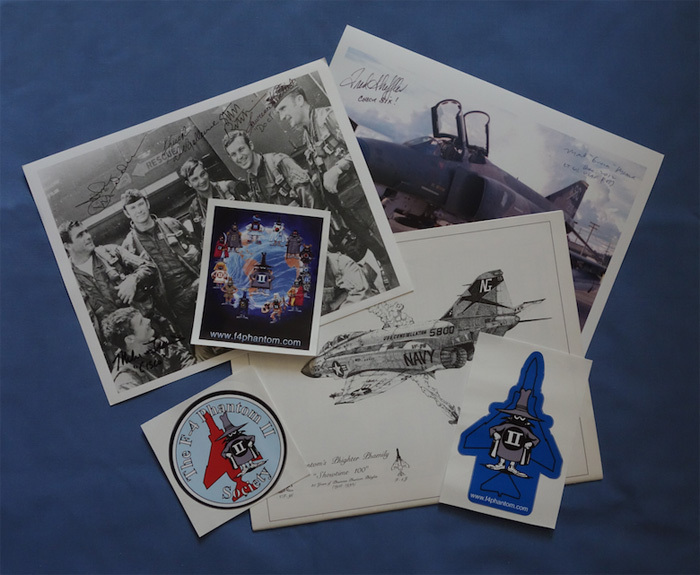 The MiG That Didn't Get Away by Lou Drendel 1974Major Dan Cherry and 1/Lt Jeff FeinsteinSigned/NumberedColor Print (15.5x26in, limited quantity)note.. MGen Cherry is an honored member of the F-4 Phantom II Society.